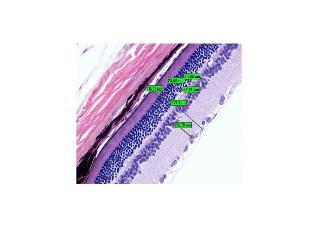 microscopic slide along with the pupil and optic nerve. and veterinarians. Excalibur Pathology follows GLP procedures. be obtained by contacting the lab. Laboratory services are available 8:00 a.m. to 6:00 p.m.
finished slides at an additional charge. Please contact the lab for details on each project.